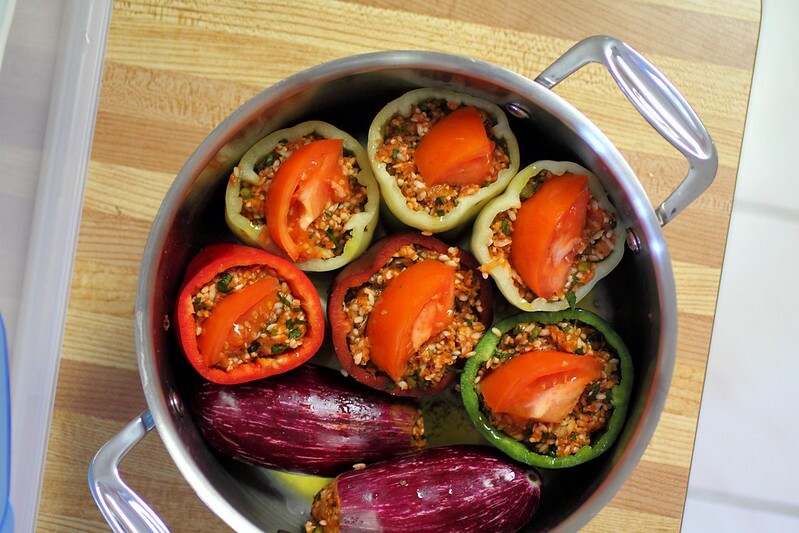 Remove the lids of the peppers and insides. Save the lids and set aside. 1 bunch of garlic scapes, chopped finely. (optional) - I just happened to have some on hand. Mix rice and meat mixture together and set aside. Place all the peppers in the pot and fill lightly with mixture, place a slice of tomato on each and cover with pepper cap. 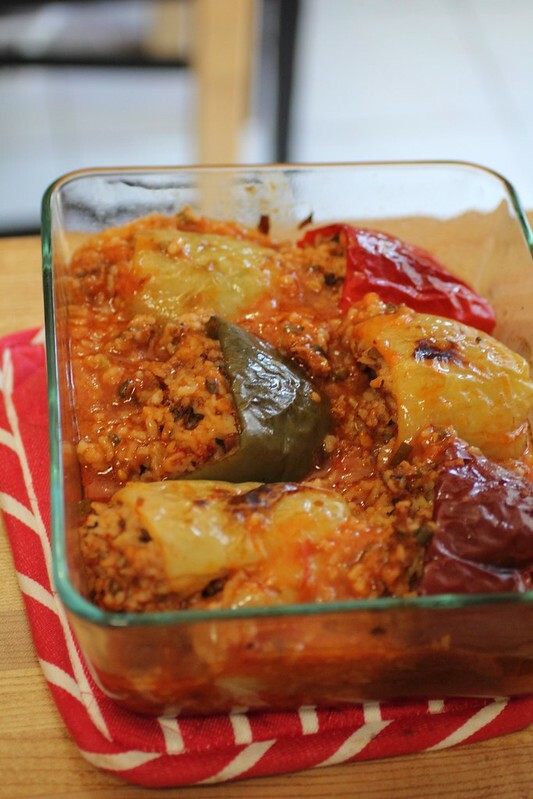 Fill eggplants with rice mix and place all the vegetables on their sides gently, They should be closely and tightly packed in the pot. Place on heat and add liquid stock to cover and tomato puree. Boil and simmer on low until rice is cooked. Allow some of the excess water to boil off if needed. 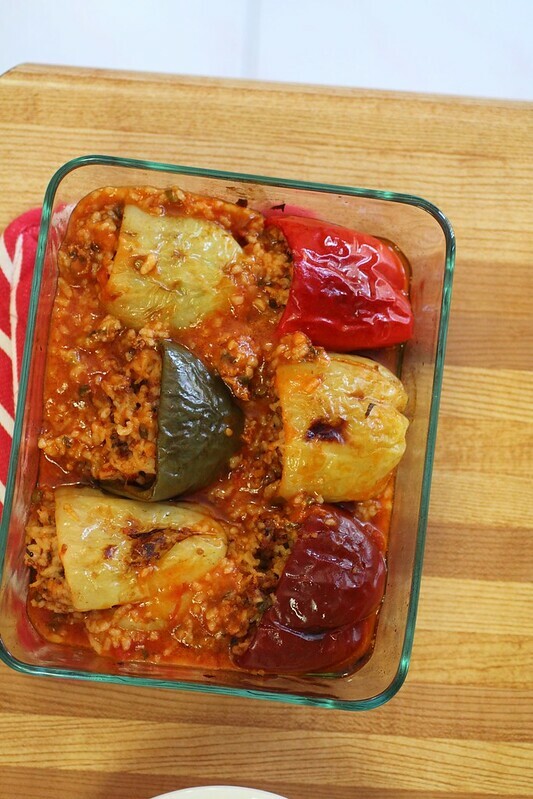 Remove peppers and place in a casserole dish on their sides, drizzle with olive oil and broil until skins are brown and bubbling.